My father is a Nisei and my mother is a Shin-Issei. As a former public accountant (a.k.a. auditor) in the Big Four industry galaxy for a number of years with work experiences both in Japan and the U.S., I’ve had to explain myself to clients and colleagues over countless nama-biiru outings this convoluted metric and where I fall in my own community —first generation, second generation, 1.81 generation, so on and so forth. For the time being, I will self proclaim myself as a “Ni-Shin” and dodge the battle of the generations to opine as a commoner before this group gets bumped. I’ve been following the Keiro acquisition dialogue in the public press. Per the Keiro CEO’s suggestion in an interview, I’ve been tracking the website information on the iPad, iMac, and iPhone but also decided to attend a few events as well just to make sure with my own 20/40 vision to confirm communication in person, like we used to do way back in the legacy days. The scene was not exactly flooded with people of my own generation X, unfortunately, but perhaps like me we are tracking the story behind the scenes: in compliance to management’s suggestion. There’s too much history and too many influential community icons already at the center of this dialogue to perhaps have room for “Ni-Shin” commoners. It is somewhat of an intimidating task to jump to all the history, the tradition, and the credence. With the Japanese virtue of enryo, respecting the elders and not rocking the boat, the acquisition train hums along. However, I need to squeeze through as I often did during Tokyo/Nagoya metro morning rush hours saying sumi-masen while passive-aggressively using my American elbows to get off for my stop. At least in Japan, the motto goes that when you have to get off, you have to get off. As a CPA, my stop lies with the numbers. The financial statements of any entity are after all the X-rays to assess better health and better living. Before moving on, lets get off this audit station for just a moment. Observation 1: Based on the audit opinion issued by the public accounting firm of Vicenti, Lloyd & Stutzman LLP dated May 13, 2014 for the fiscal year ended Oct. 31, 2013, the auditors did not express any going concern. This concept of a going concern is a basic underlying assumption in accounting that an entity will be able to continue operating for a period of time and that it is sufficient to carry out its commitments, obligations, and objectives. No going concern has been issued. Observation 2: Keiro has a $2.5M line of credit agreement with a bank. A line of credit generally means that an arrangement exists between a bank and an entity for a maximum loan balance that the bank will permit the borrower to maintain in case of an emergency. There were no amounts drawn on this line of credit, indicating that Keiro did not require any borrowings to the maximum amount. Observation 3: There are no indications by the financial disclosures that Keiro’s borrowing rate or the bank rate at which they must pay back to meet short- and medium-term financing needs materially changed. Usually the way the pendulum works is that higher the risk (creditworthiness of borrower), the higher the rates required by the capital markets. No significant changes in the case of Keiro would imply that no significant changes have occurred in the bank’s risk assessment to Keiro’s financial standings. Observation 4: Based on the consolidated statement of activities over the two most recent years made available to the public, the operating loss has been $1.0M and $0.3M during fiscal 2013 and fiscal 2012, respectively. However, when including non-operating gains such as investment income and contributions, the net increases for unrestricted net assets, temporarily restricted assets, and permanently restricted assets were all positive. In fact, the total net asset increases were $3.7M and $4.7M during 2013 and 2012, respectively. Observation 5: A balance sheet provision (i.e. loss) analysis or an analysis performed by management to write off a portion of patient service revenues the entity believes to be uncollectible is performed at least annually. Provisions specifically due to differences between management’s established billing rates and estimated amounts reimbursable by third-party payers were approximately 12.6% and 10.5% of gross patient service revenue during fiscal 2013 and 2012, respectively. If you’re asking “What does that mean?” I’m with you. The meaning behind these important percentages really depends on multiple factors. More disclosure on Keiro’s analysis on selected industry benchmarks for comparison is necessary given that they are not alone in the need for such provisions. In addition, disclosures on assessments to the quality or appropriateness of Keiro’s in-house billing rates also remain. With Pacifica as a private company engaged in real estate investment and development, what is their current provision rate and how will Keiro’s provision rate benefit by this deal? Or will they at all? Observation 6: As of the latest public information available as of Oct. 31, 2013, the carrying value of the assets to be sold or disposed as a result of the acquisition was approximately $26.5M. The net proceeds from the proposed sell asserted to be $37M. Based on U.S. accounting principles, the carrying value of the asset is based only on the original cost less depreciation. Assuming that these assets including land purchases were made years ago, a significant appreciation in land value and improvements should have occurred. Is the unrealized gain of $10.5M representative of all the real estate appreciation and other value adds made after all these years? Maybe I got carried away with Observation 6 on real estate, but just a question. Accountants and auditors often express opinions on the “as of date.” The financial statement train stop establishes that bankruptcy and immediate liquidity are not the operative terms here. No opposition wagon (or even a driverless one) waiting for me to jump on; just calling what has been disclosed. If this is agreed, then the argument for selling must be restricted to solely future speculations. And if that’s the case, then I will leave the projections of our future environment for the political pundits since they know best. 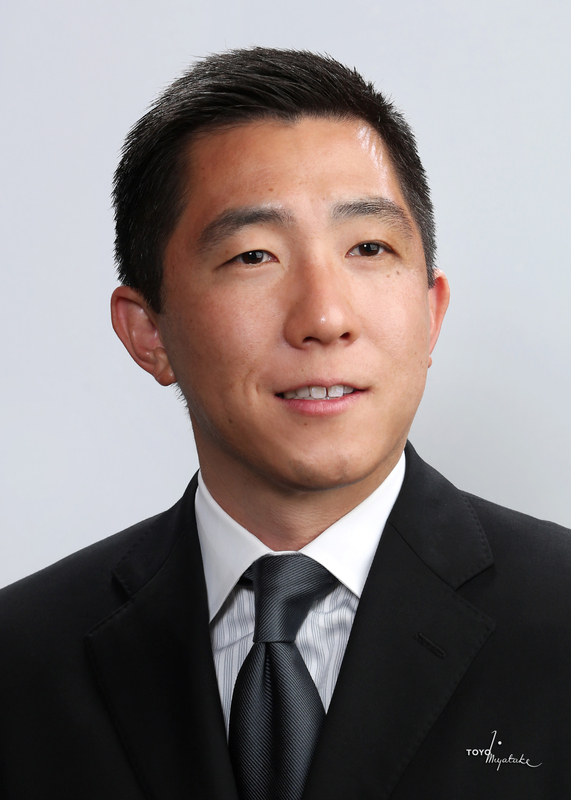 Rex Hamano is a CPA with Big 4 firm public accounting experiences both in the U.S. and Japan serving Fortune 500 companies. He holds a MBA, MAcc, MA, and BA degree earned in Boston. Currently, he is also a member of the Board of Governors of the Japan America Society of Southern California. Comments and/or inquiries should be directed to [email protected] The opinions expressed are not necessarily those of The Rafu Shimpo. Thank you Rex for your insights. I wish there was more transparency in the Keiro sale.